To many of us, the northern reaches of Shelburne are a gustatory fly-over zone. 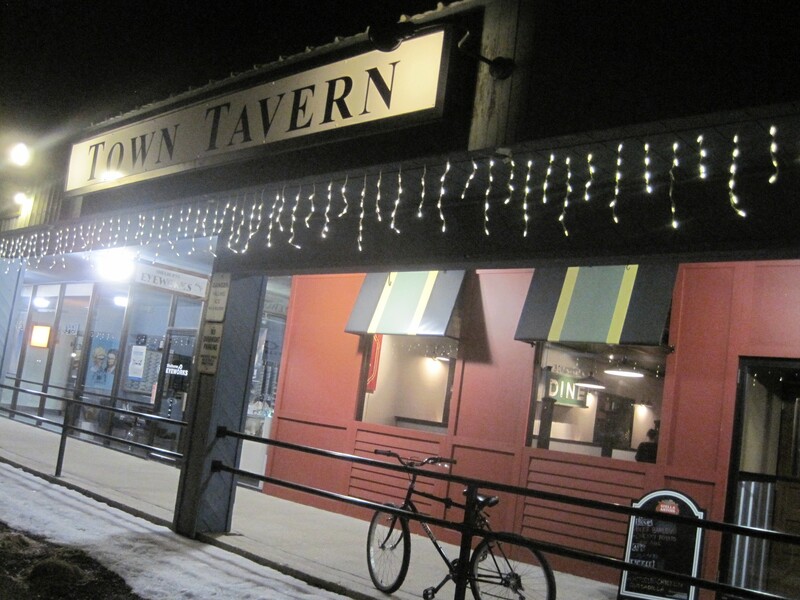 When I proposed this weekend that we eat at the Town Tavern, which opened in September, my other half was at a loss. In almost seven months of driving by, he'd never noticed the restaurant that replaced Flatbread Factory last fall. That's exactly why I wanted to try it. But it was clear I was doing it no great favors. The bar was packed with basketball viewers. Locals had clearly not suffered the same lack of awareness of the little spot that we had. The Irish-inflected, pubby feel of the place, including vintage-style signs for old businesses and a Black Watch carpet, indicated great care to detail. Would the menu reflect that? Not entirely. Rife with misspellings, the bill of fare reminded me of one at an upscale pub about 15 years ago, before the dawn of the gastropub. Even so, there were enough choices that I had to debate. Pulled pork with apple coleslaw? Perhaps a grilled apple-and-Brie burger? We started with an order of guacamole and chips. Though the guac had a starring role in the dish's name, it came in the same-size ramekin as the homemade salsa on the side. 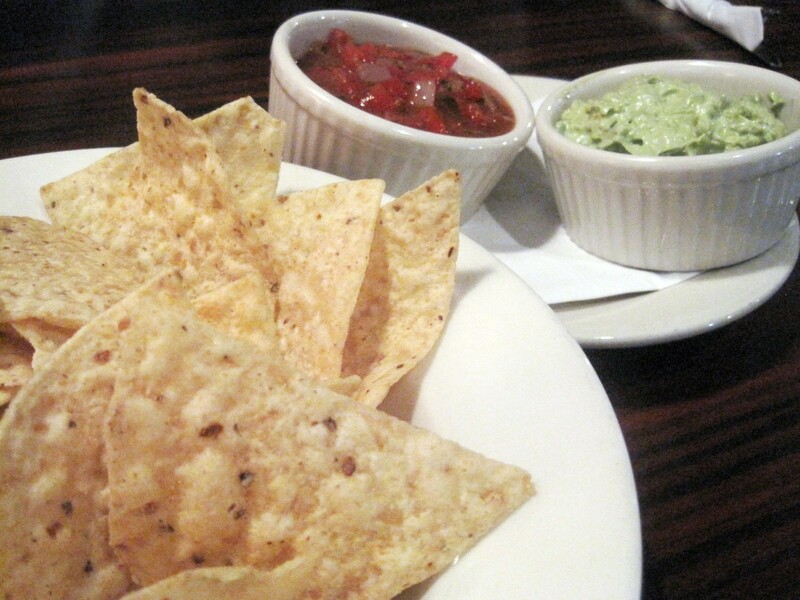 It was also less flavorful than the salsa, little more than some creamy mashed avocado. Guacamole is like pizza: Even if it's not great, it's good. But this bland entry was certainly on the lower end of the scale. The fresh salsa, on the other hand, offered a good balance of sweet, tangy and earthy. Too bad we only had Tostitos with which to dip. Some fresh chips would have hit the spot. I admit it, sometimes I order the oddest thing on the menu just to see if the chef can make it work. 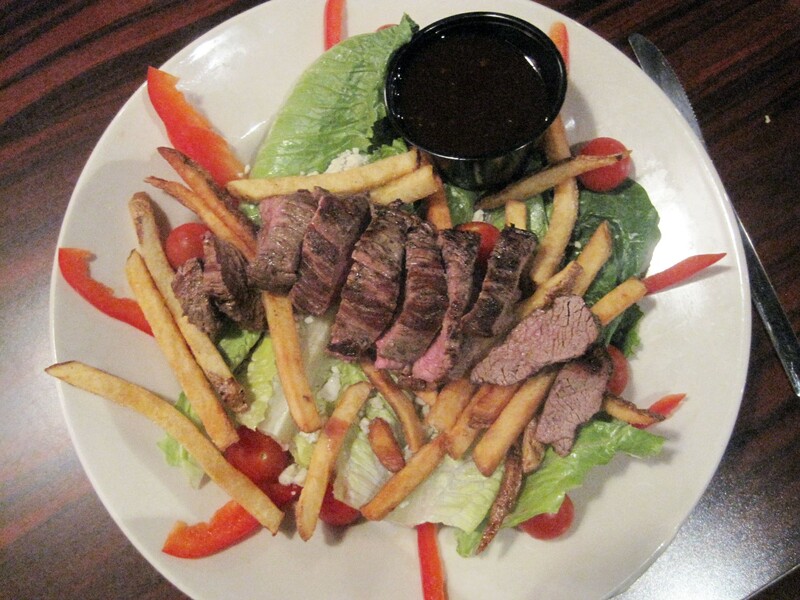 The concept of the Pittsburgh steak salad has always sounded awful to me. But with a Gaulified name, I decided it was finally time to try a steak-and-fries salad. Truth be told, the sloppy array of mismatched ingredients looked as bad as it sounded. But then I tasted the tender, well-grilled steak and crisp, skin-on fries. I have to concede, it worked. The bed of whole-leaf romaine presented a bit of a hurdle, but once I pushed the steak and fries to one side of the plate and doused the lettuce, cherry tomatoes, red peppers and blue cheese in tangy balsamic vinaigrette, I was a happy camper. Sure, the steak was cooked well beyond my requested medium, but for $13, it was a thoroughly satisfying meal. And though I was eating steak frites, it was called a salad. I could convince myself I was eating smart. 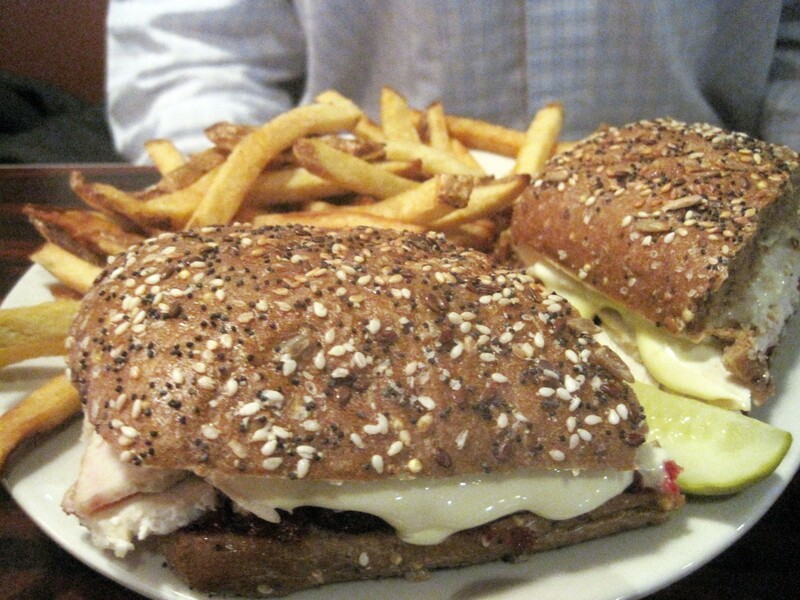 Those same well-salted, correctly fried 'taters were served with the Turkey Bogger sandwich. I liked the choice of the seed-covered multi-grain ciabatta roll. But despite a thick layer of gooey Brie and a tangy cranberry spread, the sandwich was light on flavor. Perhaps the thick slices of roasted turkey were to blame. On their own, they lacked seasoning. A layer of salt would have brightened up the flavors all around. But it doesn't matter what I think. An enviable tap list, including Drop-In Brewing's Heart of Lothian and lager from Brooklyn Brewery, will keep the hometown crowd coming. And whenever I'm in the mood for a steak frites salad, I'll know not to simply "fly over."